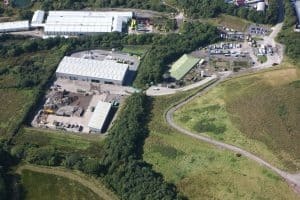 As well as the on site MRF, our flagship site Hespin Wood is home to a wood and green waste recycling facility. This facility alone processes around 70,000 tonnes per year. Also sited at Hespin Wood is our aggregate recycling plant. This is where we crush, clean and sort mixed aggregates into reusable material for the construction and building industries. Our site near Workington is home to our liquid waste treatment plant and our hazardous waste transfer station. The site is licensed to accept a wide range of drummed and packaged waste streams. With a team on qualified chemists based on site to offer professional guidance, the service is not only comprehensive but it also provides our customers with peace of mind that their waste is being handled in a safe and compliant way. 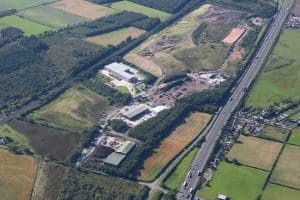 The newest addition to the Cumbria Waste Group facilities, is our quarry near Carlisle. Our Lakeland Minerals division is focussed entirely on supplying premium quality sand and gravels.